​ DPIPWE's 2019 Agfest exhibit shows how divisions across the Agency and the community can "Grow, Make, Protect and Experience" Tasmania. The application to implement a new Storm Bay North Marine Farming Development Plan has been approved. The Government is reviewing the moratorium on the commercial release of Genetically Modified Organisms (GMOs) into the Tasmanian environment. An issues paper has been developed, and public comment is invited by 26 April. ​​​The 2018-2019 Queensland fruit fly response was the largest biosecurity response in Tasmania’s history.​ The Independent Review into the Tasmanian Queensland Fruit Fly Response will make recommendations for any revisions to the Department of Primary Industries, Parks, Water and Environment’s Tasmanian Fruit Fly Strategy 2017-2050. Written submissions for the review can be lodged until 31 May 2019. The Valuer-General has determined the land valuation adjustment factors for the 2019-20 rating year. 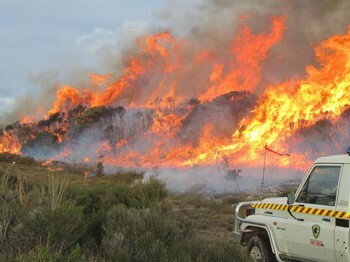 Grant​​s and loans for bushfire business recovery - Details can be found on the Business Tasmania website. ​The One Year Review of the sustainable industry growth plan for the salmon industry​ has now been released. 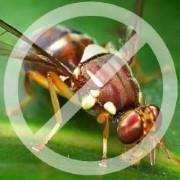 The Queensland fruit fly Control Area and Infected Area restrictions in northern Tasmania have been lifted. See Fruit Fly Latest News. ​​The Tasmanian Meat Industry Working Group (TMIWG) has been established to look at short and medium term actions, as well as the long term strategy required to underpin a sustainable livestock industry. ​​The Tasmanian Agri-Food ScoreCard 2016-17 has been released. The full report and a concise, four-page snapshot are available. Marine farm planning proposals have been approved for Storm Ba​y off Trumpeter Bay and Tasman Peninsula and Norfolk Bay​. DPIPWE's Corporate Plan 2018-2022 is now available.